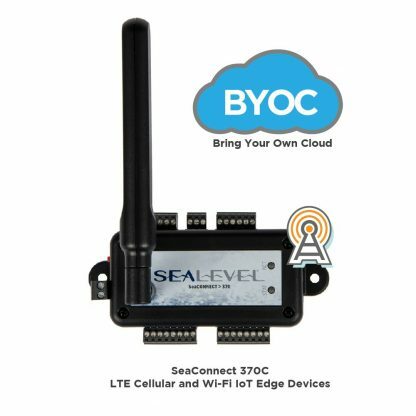 The DP00C1 subscription plan is for customers that only need a cellular data plan to use a SeaConnect 370C and bring your own cloud (BYOC). This subscription allows you to use a 370C with dweet.io or a third-party cloud application. 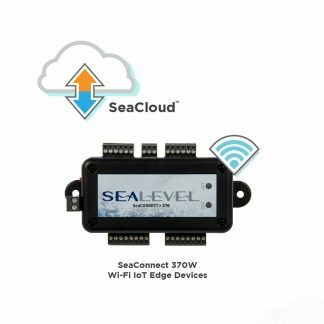 This subscription does not offer access to SeaCloud – please order SC00C if you need SeaCloud access with a cellular data plan. 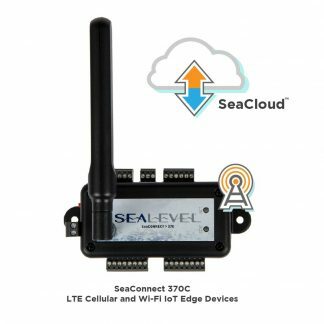 This subscription provides 25MB of monthly cellular data for one SeaConnect 370C cellular/Wi-Fi module. This works out to the 370C pushing updates roughly every 30 seconds, 24 hours a day, for an entire month. That’s more than enough data for most IoT data-at-rest applications. If you have a data-in-motion application and require more frequent or real-time updates, call us for details. Cellular signal strength may affect data usage – that’s why the SeaConnect 370C includes a high-gain sail antenna to minimize connection issues. Your subscription for 25MB of cellular data will automatically renew each month for a flat rate of only $10/month. If you order multiple SeaConnect modules, call for details on attractive volume discounts. Cellular data does not roll over. Subscription plans are month-to-month with no long-term contracts required.